After the first two hours, we charge in 30min increments. Naturally, cost is always going to be of importance when it comes to moving, but one thing’s for sure, people shouldn’t overlook reliability and efficiency in the quest to keep expenditure down! In essence what people should be looking for are services that provide reliability and cost effectiveness as standard. There’s no denying that finding a company that offers consumers the best of everything can be a headache inducing affair, but it’s by no means impossible and London Moves is evidence of the fact. Offering agreeable quotations and unrivalled levels of commitment, we consider ourselves to be the perfect choice. 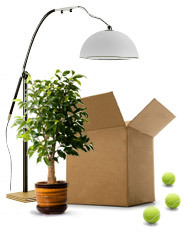 Regardless of whether people need us for an hour, or it’s a day that’s required, those who book moving services via ourselves won’t be disappointed, indeed, with a reputation for keeping costs down and a genuine desire to provide quality at an affordable price, we deliver where it matters . Quick, efficient and reliable movers who are known to be dedicated to the cause should always be the preferred choice, because whilst DIY moves are possible, things will be far more agreeable if things are entrusted into the hands of those who have moving down to a fine art.